And so it begins…. 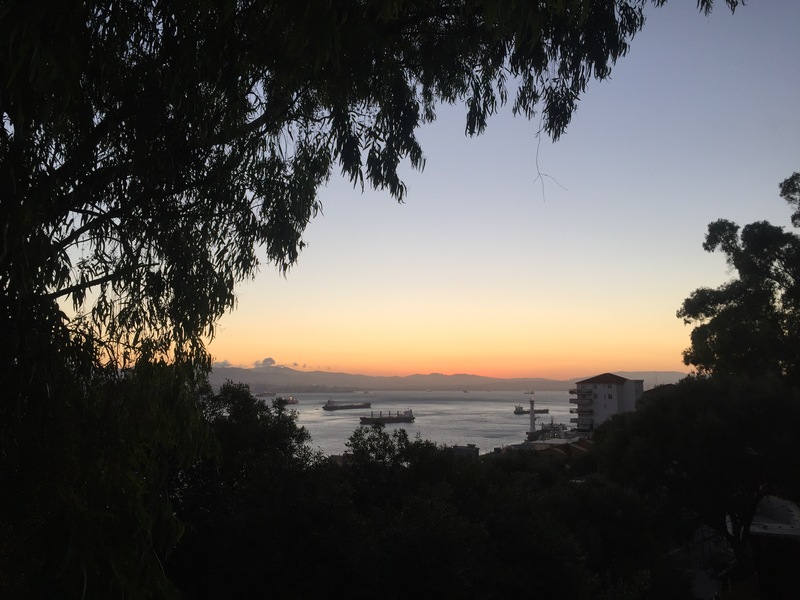 schools have broken up for summer here in Gibraltar and the eight week-long summer holiday is underway. I will continue posting Sunday Sevens, the photo challenge and my summer craft challenge throughout the summer but as for any other more considered posts – well we will just have to wait and see. I see days filled with beach outings, picnics and other child friendly activities and hopefully a bit of adult relaxing too. I’m pretty sure I have posted a photo like this once before after a similar evening stroll to the recycling bins – ah the glamour! Still the view makes the task a bit more appealing :-). 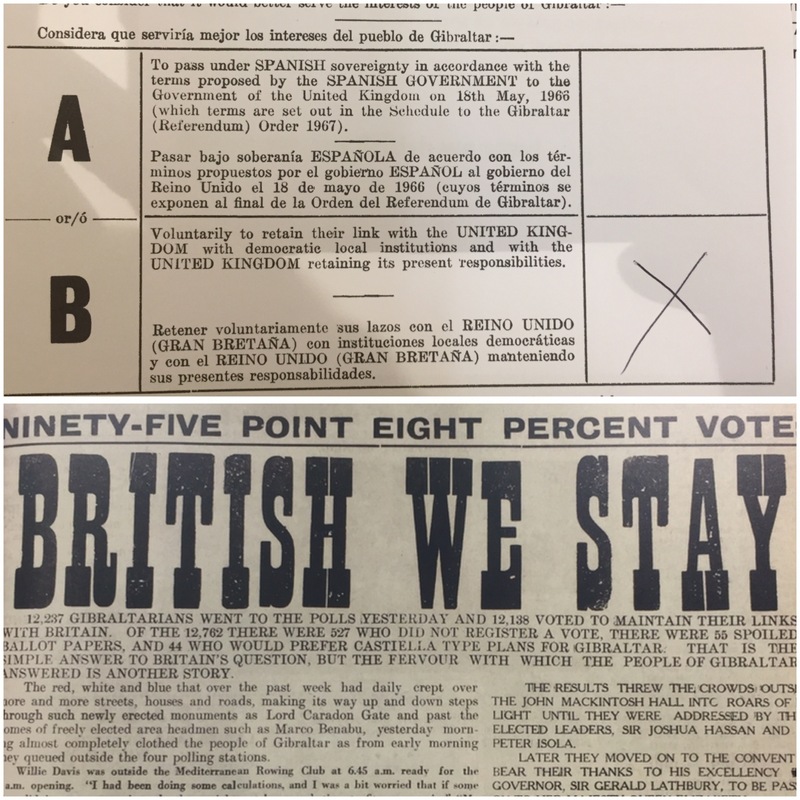 This year’s Gibraltar National Day marks the 50th anniversary of the referendum when Gibraltarians voted overwhelmingly to remain British. For the past month or so, there has been a special exhibition of press cuttings and Pathé news reels of the time. Part of the exhibition features a polling booth where you can cast your own vote in a mock second referendum. School parties have come down to see the exhibits and the children have also had the chance to vote in a childrens’ referendum. I cast my vote too! We have figs!! 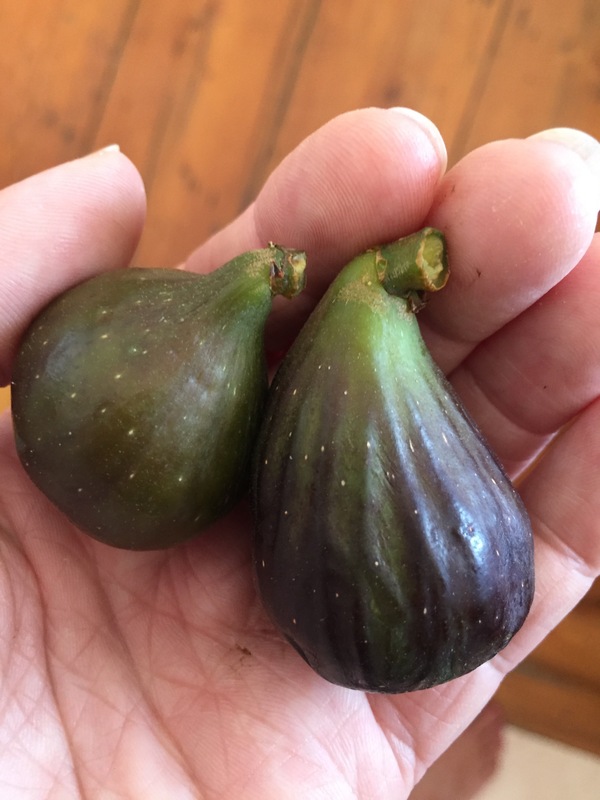 Last year our little fig tree did bear fruit but something or someone snaffled them before we got the chance to harvest any for ourselves. This year we were rewarded for our patience and we have 2 ripe fruits. There are more still to come as well! Diamond the Postcard family pet rabbit has got a new party trick.. 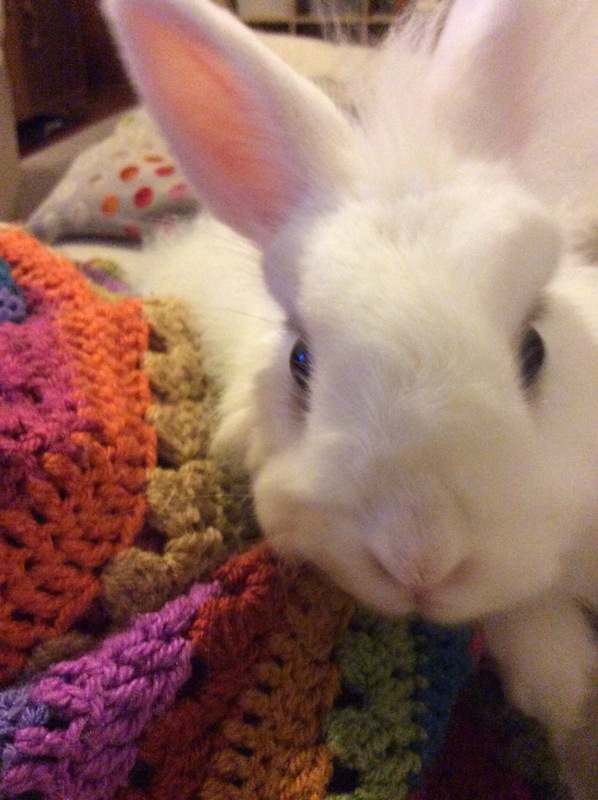 He loves jumping up onto the sofa during his evening romps around the lounge and making me jump out of my skin. I’ll be sitting there watching telly or crocheting and bam he’s suddenly up beside me! He’s such a cheeky monkey. Yesterday morning I took a little stroll to the lighthouse at Europa Point. It was a gorgeous morning without a cloud in the sky. Trinity Lighthouse was looking fab with her new lick of paint and the scaffolding taken down. Sunday Sevens is a weekly blog series featuring seven photos from the past seven days and was created by Natalie from Threads & Bobbins. Interesting and full of treats! Love your ‘7s’. Lovely week. 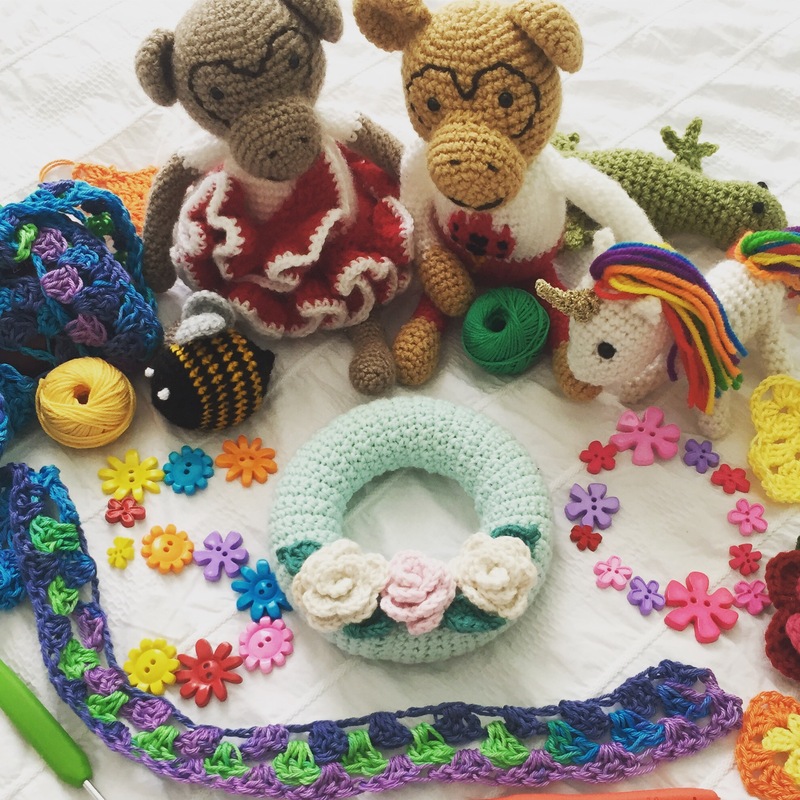 I don’t use instagram but well done you and I love the picture of all your creative goodies. Always love getting a glimpse of life a half of a world away. Thanks for sharing! My pleasure Brenna 😊 thanks for reading and taking the time to comment! Eight weeks!! I was once a teacher and we never had more than 6, then its about 5.5 now. Enjoy the time and the Summer. Currently Australian Schools are in their winter 2 week vacation except the private schools so the parents can take families to the snow or Europe. That rabbit sounds like a character, clearly personality plus. I know 8 weeks is a very very long time!!! Add to that the 3 weeks of half days in the run up to the holidays and a week and a half of half days when they go back in September and it’s a very quiet time for teachers here! Nice week it seems. 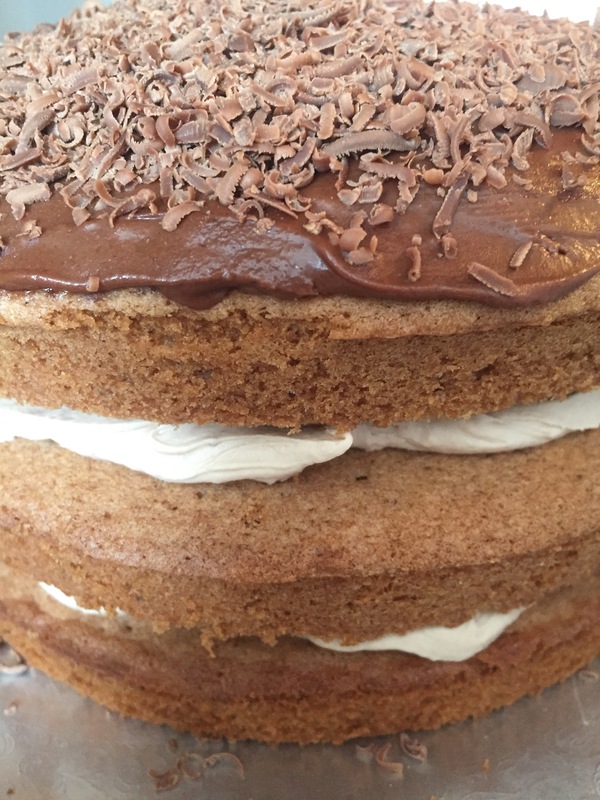 Now I want to eat choccy cake and sit in the sunshine! I’ve just got my 501st IG follower, too – congrats! 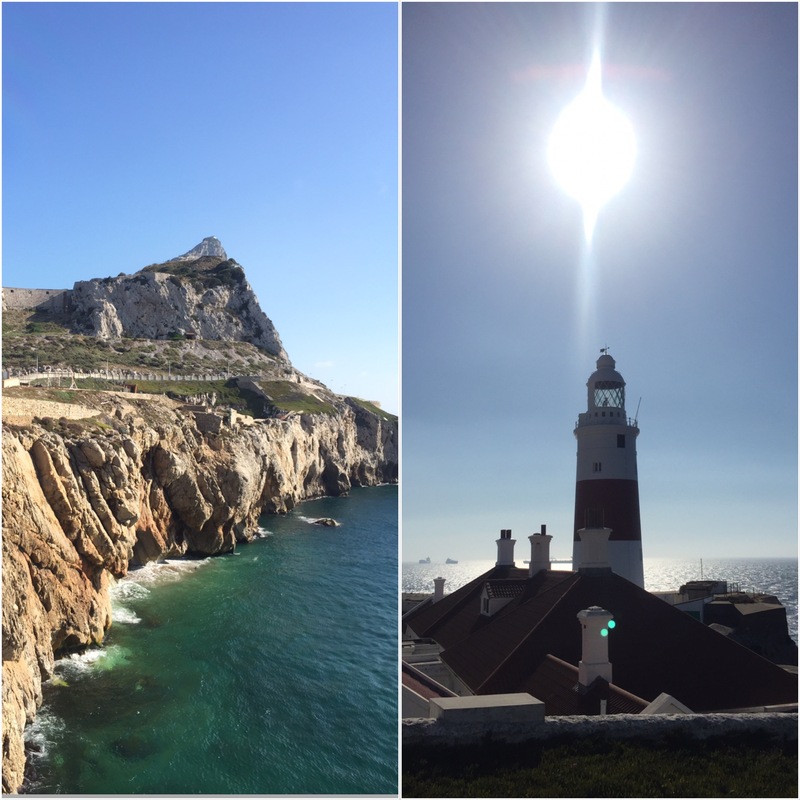 Europa Point and The Med Steps are top of my list when I eventually make it to Gibraltar – which is likely to still be British for the foreseeable future, I see. Diamond reminds me of our old hen Amber who used to have an amazing character and loved to hop up on the sofa beside us. Enjoy your eight weeks!